BY DAY, Malachi Armstrong attended a Philadelphia high school whose motto was "excellence, no excuses." By night, he was homeless and far away from adults with high expectations. "For five years, I was away from my family," he said. "They thought I was dead." Armstrong, now 21, says his grandmother kicked him out of her house when he was 16 because she caught him being intimate with a girl. The other adults in his life were nowhere to be found or struggled with drug problems, he says. At first, he hopped from couch to couch. Sometimes, he stayed with friends whose homes were so filthy he didn't dare take a shower. "I was in certain houses where I was like, 'Nope, I'll just use the sink,' " he said. More than 2,000 high school students in the Philadelphia School District, or one in 20, have experienced homelessness, according to a 2013 report by the People's Emergency Center. The nonprofit says the percentage of high schoolers who report that they have run away from their homes, been abandoned or been kicked out increased to 11 percent in 2011 from 5 percent in 2009. While Armstrong was homeless, he was enrolled at the Mastery Shoemaker Campus in West Philadelphia, a charter school for grades seven through 12. He sometimes took out his anger on teachers and got in fights, but school administrators didn't kick him out. In fact, he says, they provided him with a desperately needed support system. "They was giving me chance after chance after chance," he said, "because they knew my situation." Teachers bought him uniforms, school supplies, food. They let him go on school trips even though he couldn't pay for them. They gave him special roles in school performances. Armstrong says school was his "outlet." When asked what public officials can do to combat poverty, it's no surprise that he shoots back, "Stop cutting education." Eventually, Armstrong sought help at the Covenant House, a nonprofit that provides emergency shelter and transitional housing for homeless youth. "It was a fresh start," he said. "It was somewhere where I could take that little bit of maturity that I had, and take it somewhere where it had potential to grow." And Armstrong did grow. He graduated from high school last year. He moved into a two-bedroom transitional unit and got a job at Chipotle. Working long hours at the chain restaurant was "nothing," he said, because he had endured living on the streets. 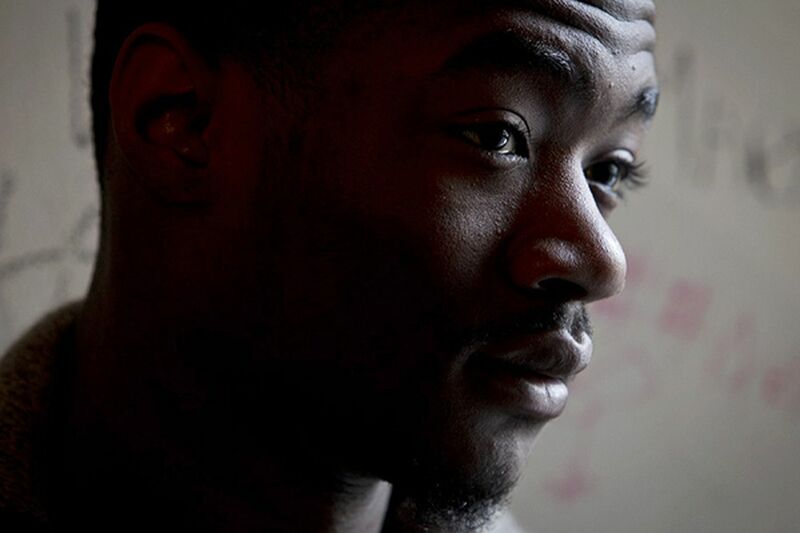 Armstrong left the Covenant House in February, and reconnected with his grandmother. He is currently living with her and helping to repair her home. "She calls me the love of her life now," he said. Overall, though, Armstrong's transition into adulthood has been rocky. He left Chipotle and worked as a busboy for nearly a year, but was recently fired for being late too often. He plans to look for another job after he finishes fixing up his grandma's house. Meanwhile, some family members won't accept Armstrong unless he uses drugs, he says. "The family's so torn apart," he said. "Truthfully, I only came back to try to be the salvation of it." Armstrong's setbacks haven't dampened his dreams, though. He wants to become a truck driver, write music, maybe even start a family. He admits he may have to distance himself from some of the people he grew up with to achieve that. "I want better," he said. "I might have to step away and do better for myself, and then try to come back."